Los Angeles 1988, Spencer & Blume arrive at CalArts, two worlds meeting, European classical and Irish folk with experimental new music and American rock and blues. Years of intensive work with masters of Indian raga, composition, African drumming, jazz, and Indonesian gamelan, and working with other artistic disciplines deepens the cross cultural awareness and brings Spencer & Blume together in a life time of international collaboration. Respecting and embracing diversity, seeing an urgent meaningful purpose for united artists at this time in history, understanding that beauty is bound to cultural interpretation, and that mastery is only one part of the musician’s story, their guiding principle as performers and composers has been clear from the beginning: For Spencer & Blume, music is an expression of the total human experience, but is not limited by anything. With their world of sound, Spencer & Blume are building crosswalks through cultural divides, opening up creative frontiers without borders. American composer and musician Julie Spencer crosses stylistic and cultural boundaries. She connects East and West from the center of Europe and follows the romantic tradition to open doors for a modern synthesis of the arts in her work as composer, performing musician, and painter. Spencer’s works are being played throughout the world – from Los Angeles via Peking and Tokyo to Warsaw and back to Bingen. Her music is asked for with international commissions and awarded with grants for example from the United States National Endowment for the Arts. Her compositions and arrangements have been premiered in the Los Angeles Philharmonic Green Umbrella New Chamber Music Series in the Japan American Theater and the Dorothy Chandler Pavillion in L.A. with the Glendale Symphony under the baton of Lalo Schifrin as well as in concert halls, conservatories, and international festivals in Berlin, Osaka, Peking, Washington D.C., and Atlanta. Her first concerto for marimba and orchestra was premiered in Japan with chamber ensemble and with full orchestra in Warsaw, Poland in 2006. Ensemble and orchestra works followed worldwide, and 2017 her most recent orchestral work in Zhongshan Hall, Taipei, Taiwan with Yu An Chang, Assistant Conductor of the Boston Symphony Orchestra conducting the Taipei Youth Philharmonic Orchestra, with commissioning soloist Wei Chen Lin of the Shanghai Symphony Orchestra. Many multi-ethnic projects are co-composed with other collaborative artists, including Ethiopian German singer Menna Mulugeta, and multi-instrumentalist and composer Gernot Blume. As an internationally renowned marimba virtuoso Spencer has appeared in concerts throughout Europe, North America, and East Asia. Spencer has had jazz and world music ensembles with artists from Venezuela, Mongolia, Iran, Brazil, India, Australia, Japan, the US, and Germany. Based in Germany Spencer has been part of the faculty on numerous Zeltsman ZMF festivals, US Percussion Camps, KoSA, the Mycka IKMMA festival, and adjudicator at various competitions such as the Japan Percussion Society solo mallet competition in Tokyo. In the United States, she was adjunct faculty at the California Institute of the Arts and at the University of Michigan. A graduate of the Eastman School of Music, and recipient, post graduation, of the Performer’s Certificate, Spencer’s master’s degree is from Cal Arts. Her music can be heard on more than 20 CD releases of pop, jazz, contemporary, world music, and chamber percussion by solo artists and chamber ensembles from Canada, Japan, Germany, and the US, such as Nagoya Philharmonic Orchestra co-principle trombonist, Hiroshi Tanaka’s “Walking On Air” CD recording with “Lights of Love Concerto for Trombone” with piano. Also a prize winning visual artist with numerous exhibits, Spencer has works in private collections in Japan, the U.S., Germany, and Norway. 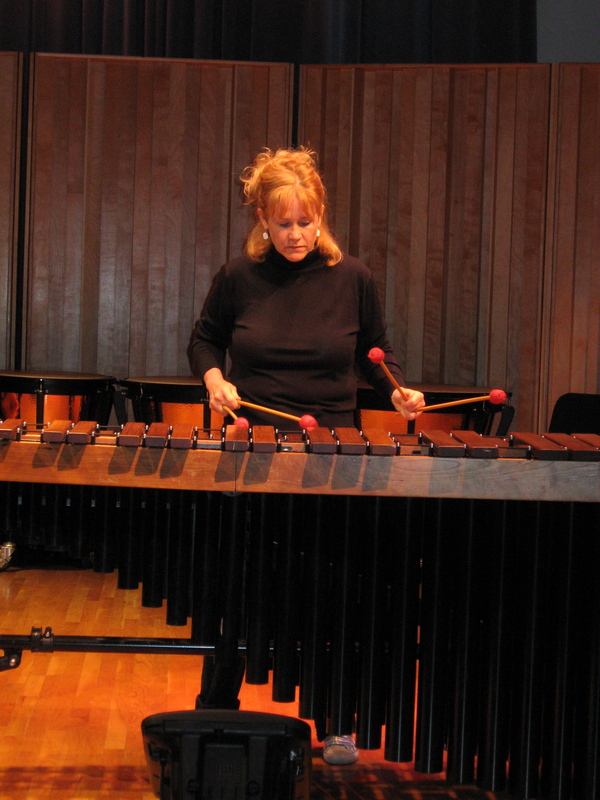 Based in Germany, Spencer’s art is featured by Norsk Musikforlag on the covers of her scores and Blume’s scores and on CD covers of other artists, such as Japanese percussion and flute duo, Shiori Tanaka and Kazuko Ihara’,“Voices for Peace.” Spencer plays Bergerault / Dynasty Marimbas, Mike Balter Mallets, MalletKat, and is published by Norsk Musikforlag. 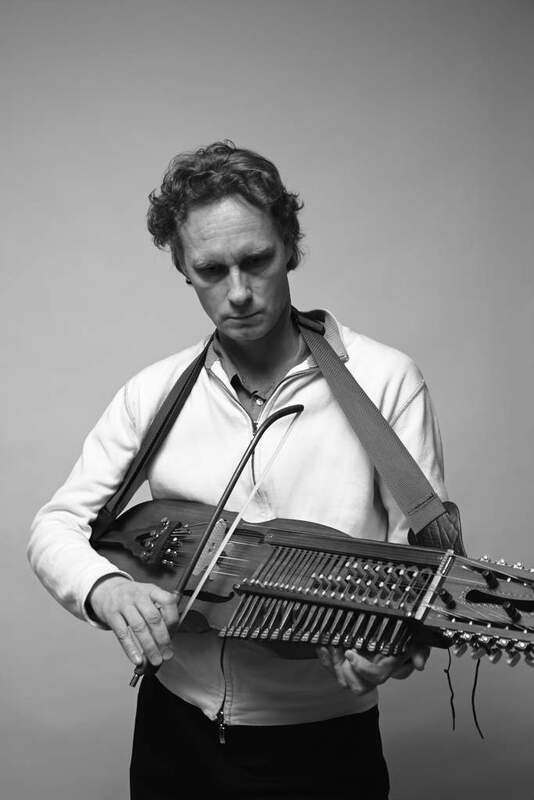 Gernot Blume’s array of multi-instrumental possibilities spans musical cultures and styles with a rare talent and intellectual expertise in ethnomusicology. Rooted in Germany, he works worldwide as musician, composing, performing, writing and teaching academically. Fluent in many improvisational languages, Blume brings the sound together from the East to the West as a soloist, ensemble leader and composer. He unites North Indian Raga, the American Jazz tradition, Irish folk, American Blues based popular music, Baroque, and zeitgenössischeextended techniques, as well as the lead drumming improvisations in Indonesian Gamelan and Middle Eastern quarter tone based improvisation. The enormous variety of his accomplishments – as a concert harpist who also plays pop and jazz on the harp, jazz and classical pianist, classical sitarist, singer/songwriter who performs Yiddish music as well as the Swedish nyckelharp, accordion, recorders, mandolin, guitar, Turkish Saz, and bass mandolin – is reflected in the breadth of his compositional projects as writer and arranger for pop bands, big bands, choir, musical productions, chamber ensembles, and symphony orchestras. Many of Blume’s performances have been broadcast on NPR stations in the US, German state radio, SWR and national television in Germany such as ARD Morgen Magazin, as well as in radio programs in Japan and Taiwan. His music is published by Norsk Musikforlag. The variety of performances his music receives is equal to the diversity of the music: from orchestral works in large concert venues like Zohngshan Hall in Taipei to jazz clubs in Los Angeles, Boston, and Hannover; in conservatories in Paris and Tokyo to theater productions in Los Angeles and international festivals like Karneval der Kulturenin Berlin. His compositions have been recorded on more than 20 CDs by artists in the US, Germany, and Japan, as well as Blume himself, such as “Jetzt Wohin?” with musical settings of poems by Heinrich Heine. Blume is also a studio musician for television commercials, short films, and documentaries in the US and Germany. 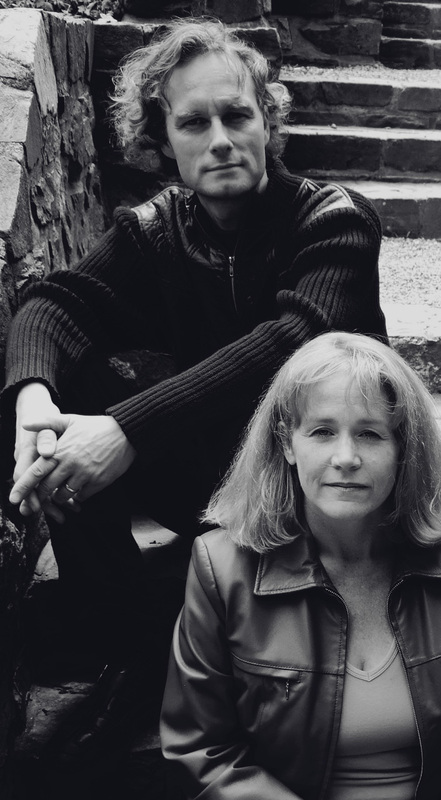 Blume’s work has been acknowledged with many commissions, grants, fellowships, and stipends – for his music as well as his words: Amongst his publications – from Cambridge University Press, Jazz Forschung Graz publications to poetry – Blume represented Germany as a poet in the first edition of international poetry published by the United Nations Society of Writers. Starting as a student in Los Angeles in 1988, Blume left his mark in the US, before returning to his home country, Germany, 15 years later as a Ph.D., having been the Director of the World Music Program at Lewis & Clark College in Portland Oregon, University of Michigan Gamelan Co-Director for four years. Now working from his hometown Bingen as a soloist, composer, writer and adjunct faculty lecturer at the Goethe University of Frankfurt, he performs throughout Europe, Japan, Taiwan, and the US. He has founded numerous multi-ethnic ensembles and extensively and develops new formats with the German Ethiopian singer/songwriter Menna Mulugeta, finalist in “The Voice of Germany” and the theater production company “Theater Zauberwort” as well as in ensembles with his wife, musician and composer, Julie Spencer.